DYNAMOS coach Lloyd Chigowe is to sign Ghanaian striker Robert Saki and two others from Cote d’Ivoire and Cameroon. Chigowe says the country has a deficiency of strikers hence the need to go international. “We had two Ghanaians who have been training with us and we have Robert Saki here training with the others, the other one I think is now training with CAPS United. “I am impressed with him and his qualities and we are definitely going to take him on board. “We are expecting one other striker from Cameroon and probably one from Cote d’Ivoire but otherwise I think we are comfortable with what we have,” he said. “We have settled for foreign strikers because right now the rate of goals in the country is not good and we have a drought so to say. “Look at FC Platinum they have played three Champions league matches and have not even scored a single goal. “And they are the top team in the country today. I think this generation of players have not been delivering to expectations. “If you look at the times we had Gift Mpariwa, Agent Sawu and so on, but look today we are struggling to get goals. The DeMbare coach says there is need for junior football development that’s why the team has decides to reserve five slots for the juniors. “We have reduced the number of the people we were training with, we are left with most of our juniors and few players fighting to fill the remaining slot. But we can safely say that we are nearly done. “I think when we play our preparatory match on Saturday we will finalize but we have a rough idea of where we are going now. “I think we will be competitive like I said before, we will have targets for ourselves and I think we will be able to compete. “We made reservations for five junior players and the board has recommended us to sign them,” he said. 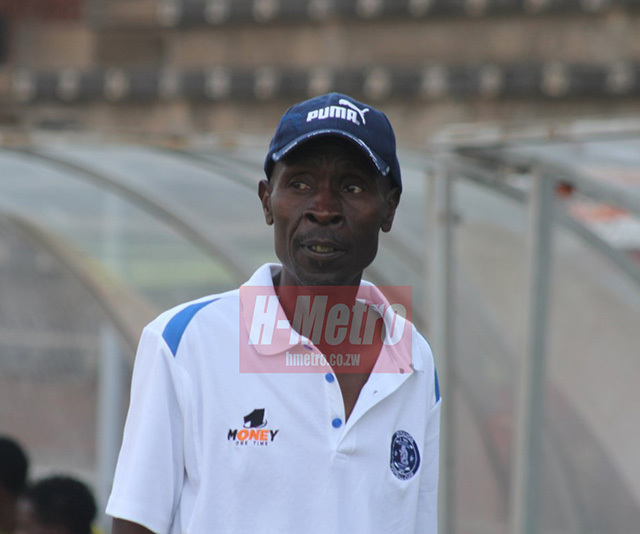 “That’s why we have recommended all the five slots to go to Dynamos juniors, to ensure that there is a constant supply of youngsters who can come and get exposure in their best level. “Naturally I can say that Harare and Bulawayo are doing very well in football development. But the fact of the matter again is that with that generation they are very few young strikers. “We have got this young striker from Prince Edward Nigel Katuka, who is showing a lot of promise. He’s a good striker and he will go places. MaBlanyo says that there is need for coaches to invest in junior development and his team is set to have a bonding in one of the neighboring countries if funds permit. “There are some coaches who can work with finished products and are afraid to try youngsters. “And then there are others who are faced with a deficit in terms of the supply line, have no option but to play them. But I encourage people to invest in them just like with what we are doing. “We had proposed to the executive that we have a camp and probably in Zambia or Malawi but we will the budget to be done. “But if it that be done we will find somewhere to camp locally and make sure that we bond away from the public,” he said.